Let’s get the stupid nitpick of this episode out of the way; The Death Card in a tarot card reading does not mean literal death. Granted the meaning of cards can be fluid but still. Otherwise this was a pretty great episode. Alice/Tilly has been a highlight of this season so seeing an episode center around her is great. The past section revolves around how she got out of the tower and her how her Robin meet/bond. The relationship between Robin and Alice is an apology for how the show has handle Lesbian pairings before. Mulan was in love with Aurora and then she teamed up with Red only to have Red fall for Dorothy in one episode. It was unearned. Here with Alice and Robin it was set up prior. Both Alice and Robin bond and grow from each other so it more than just a physical attraction on the onset. They feel more natural than the Red/Dorothy pairing. Still wish Mulan had found love. The present section dealt with Tilly trying to come with an alibi. Which she does in the form of the troll statue which had a camera in it. The Troll is also the magic Alice conjured to get out her Tower. The B-plot was Regina/Lucy mission stuff with Dr.Facilier. His goal is to get the Dark one dagger. Regina and Facilier’s dynamic continues to be interesting. Good episode all around. The second half of this season better than the first. 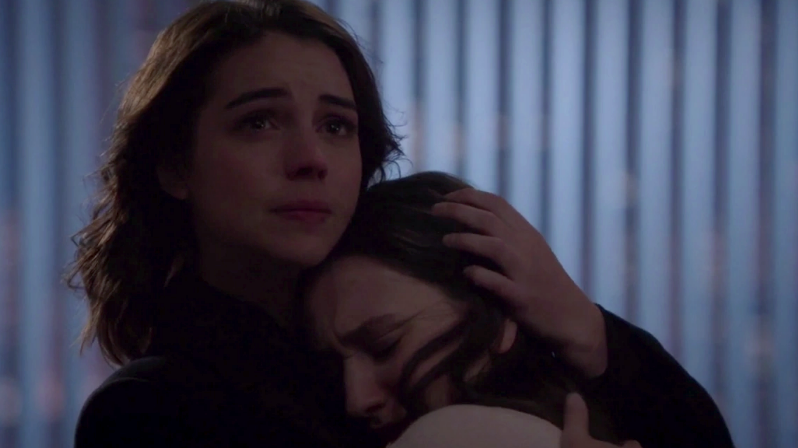 I will miss Drizella. This episode wasn’t bad, it moved things along in the ultimate direction. The main focus of this episode was on Druzilla and her relationship with Anastasia. 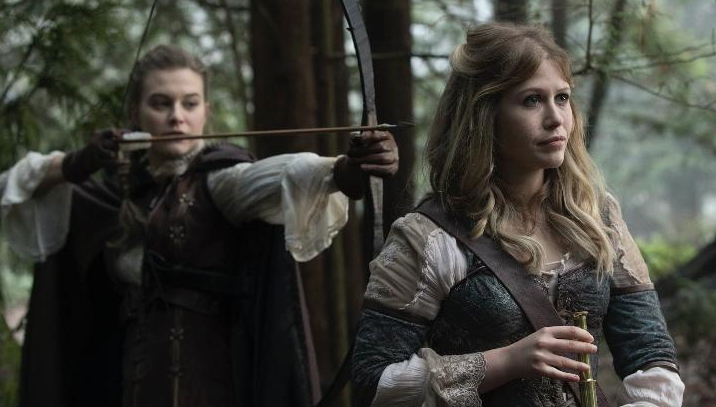 The past section involves Drizella’s test to join the coven in which she and Gretel bond but she is forced to kill her because there can only be one. Druzilla didn’t want to and this plays in the present where Druzilla is posed to kill Anastacia to charge up a magic bean. It was all a ploy by Faclier tio get some magic for Regina and in the end the two sister’s return to the A.E.F. So in the present we learn the identity of the murder who is going after the coven members. Turns out it was Hansel a.k.a Nick a.k.a Lucy’s fake dad a.k.a Henry’s B.F.F. At least he has a motive. Gretel said that Hansel was changed by the experience of the child eating witch AND Gretel was murder because of the coven however how did he wake up? Or is operating under subconsciousness, like he knows to go after these women but he doesn’t. Anyway it was fine episode, it’s a shame than Ivy’s part is done yet Jacinda’s and Henry awkward relationship continue but it was as bad in this episode as it has been in other episodes.